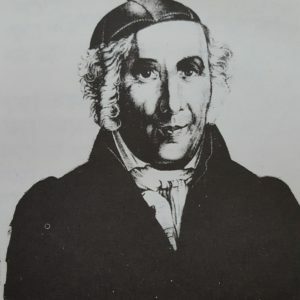 I recently encountered an article by the late Jonah Frankel, an authority on piyut who is known for editing some volumes of the “Goldschmidt Machzor”. The article was written over a decade ago on the occasion of 200 years since the publishing of the Heidenheim siddur. The article points out the lack of attention scholars had thus far given to the myriad of hand-written siddurim that are available spanning all of Europe and dating back to the 12th century. Frankel argues that these siddurim give the most accurate portrayal of the evolvement of different minhagim. Furthermore, scholars who used the words of the poskim to understand the nusach used in various districts are unaware of whether the directives of the poskim had really taken effect or had the local traditions remained. Frankel goes on to enumerate many differences between our nusach and the medieval version. Towards the end of the article Frankel points to a problem with relying on the handwritten prayer books. Namely, the need to conserve resources and effort was so intense that the transcribers would NEVER WRITE ANYTHING TWICE. Therefore, although from the siddur itself it seems that “aleinu” was not appear in the daily services, it is very likely that it was said and the reader would turn to the mussaf of Rosh Hashanah to recite it! Similarly, Hallel does not appear in the siddur because it appears in the Passover Haggadah in the back of every siddur! (Frankel points out that even the large size siddur that is clearly the chazan’s edition has a Haggadah.) What’s more is that these early siddurim never contain instructions, and so we cannot know if they said Aleinu etc. because there is no “turn to page” directive. What should be interesting to the modern-day Roedelheimn user is the knowledge that the longstanding tradition to “turn to page 65” is really a practice that has survived through all the centuries and was even thought to be economical after Guttenberg and his press arrived on the scene. It is rumored that an upcoming edition of the Roedelheim will have mincha printed separately and aleinu following each tefillo. Ah, the age of excess!